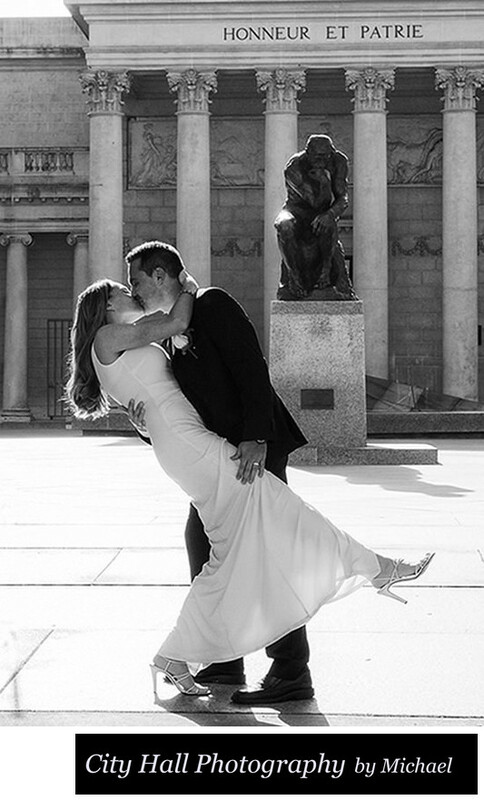 We are always adding our favorite iconic San Francisco City Hall wedding locations with photos and stories. 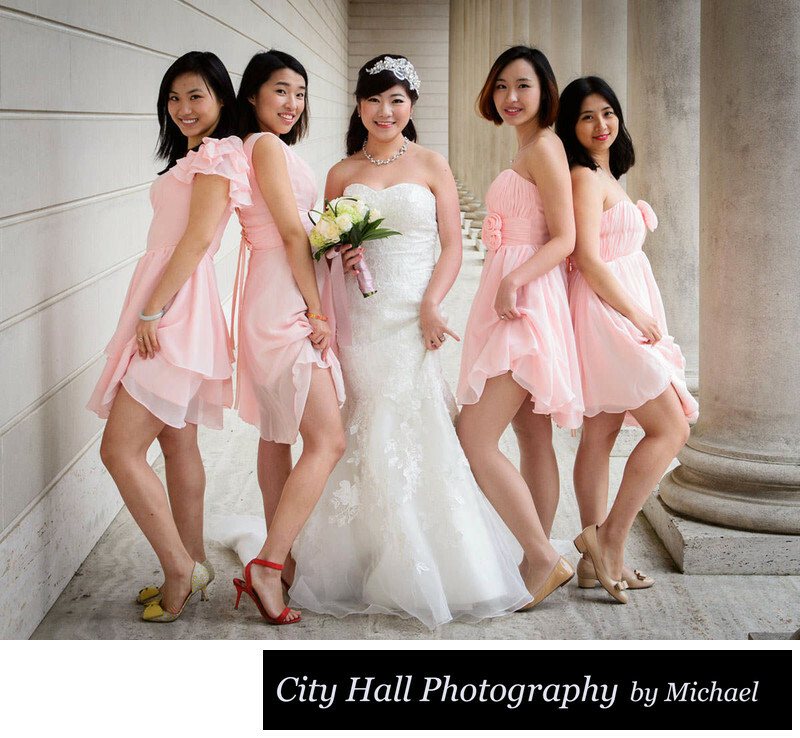 Our current featured location is the famous San Francisco Legion of Honor. 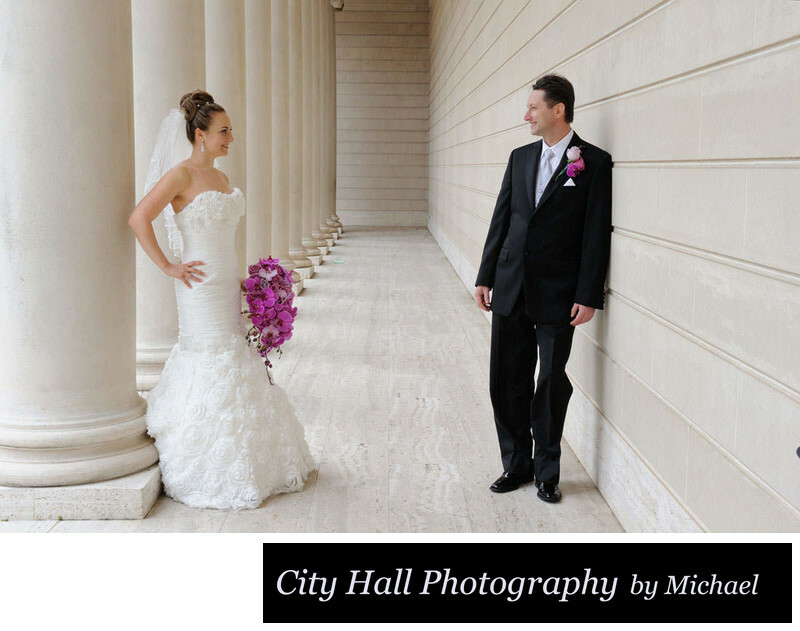 We love taking our San Francisco City Hall wedding couples to the Legion of Honor because it offers so much. It's one of the few stops on our San Francisco tour that enables us to photograph you at 2 famous landmarks in one location! Not only the Legion of Honor, but a short walk and you can see the Golden Gate Bridge. Here are a few sample photos for you to enjoy. 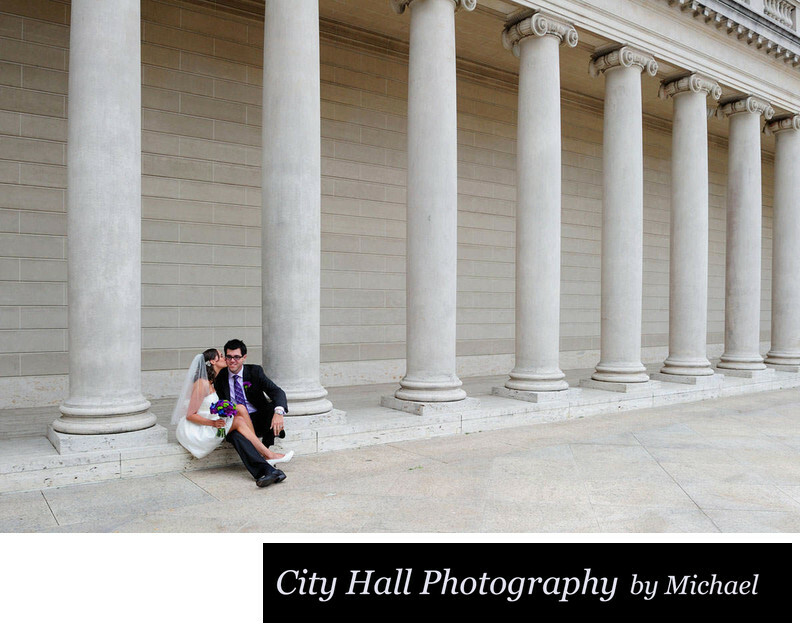 Rachel and Travis took advantage of our San Francisco City Hall photo tour and we had a great time visiting some beautiful locations. We started at the Legion of Honor and obtained the shots above and below. We finished up at Ghirardelli square and also put the bride and groom on a Cable Car for some fantastic photos. City Hall is beautiful, but it is still great to get out and see some of the sites throughout San Francisco. One of the reasons we encourage our couples with time restrictions to visit the Legion of Honor is because it's possible to photograph two landmarks for the price of one. 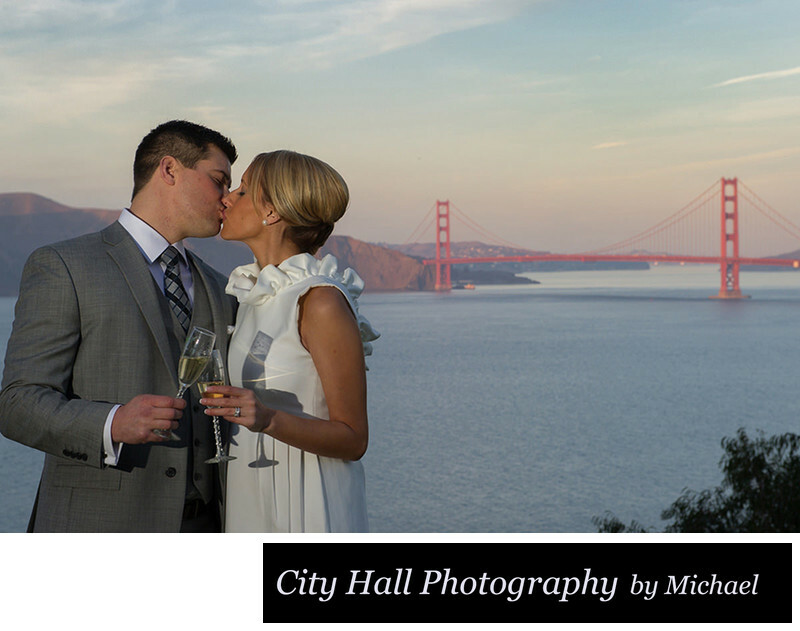 Below is a photo taken of Nick and Ashley with the Golden Gate Bridge in the background. Believe it or not, this photo location is walking distance from the San Francisco Legion of Honor! This is the 17th hole at Lincoln Park golf course and it can be a very nice place to get a few shots. Sometimes we have to wait a bit for golfers to finish up, but it is well worth it. The bridge is a bit far off in the distance, but still looks fantastic and romantic! 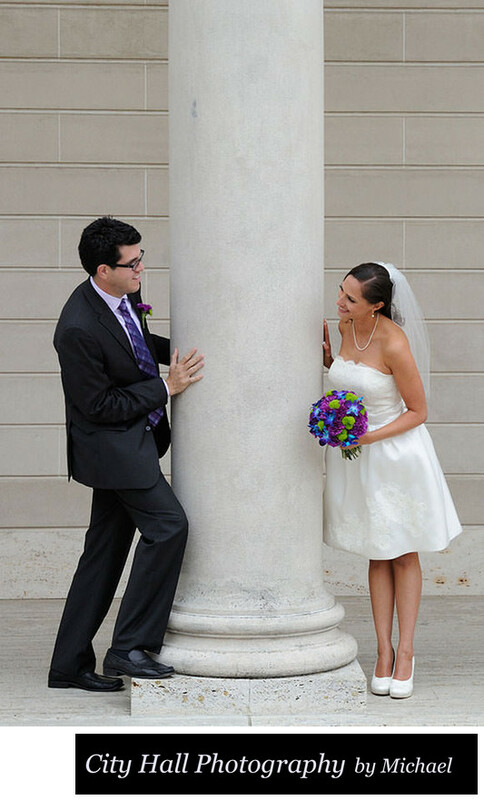 Michelle and Paul (below) were one of our favorite couples of the year! We always try to make our photo sessions fun and the 2 of them had the same idea! We went all over the city including the Legion of Honor. We finished up at Baker Beach in the heavy fog. We love couples that are really interested in their wedding photography and have high standards. We do everything we can to meet those standards! 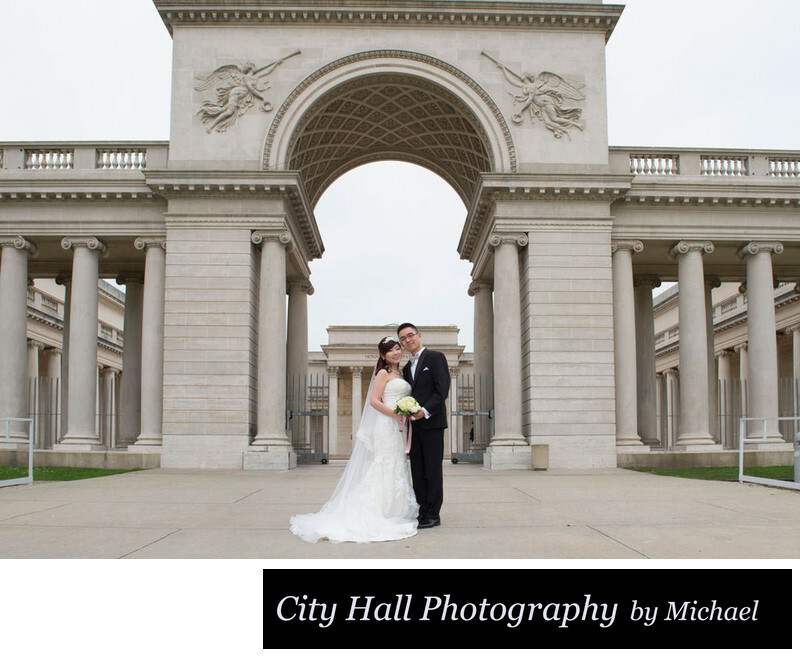 Elina and Stas wanted to go to the Legion of Honor for their wedding photos and we were more than happy to oblige. Definitely one of our favorite San Francisco locations. Parking is usually available and the number of tourists is manageable. 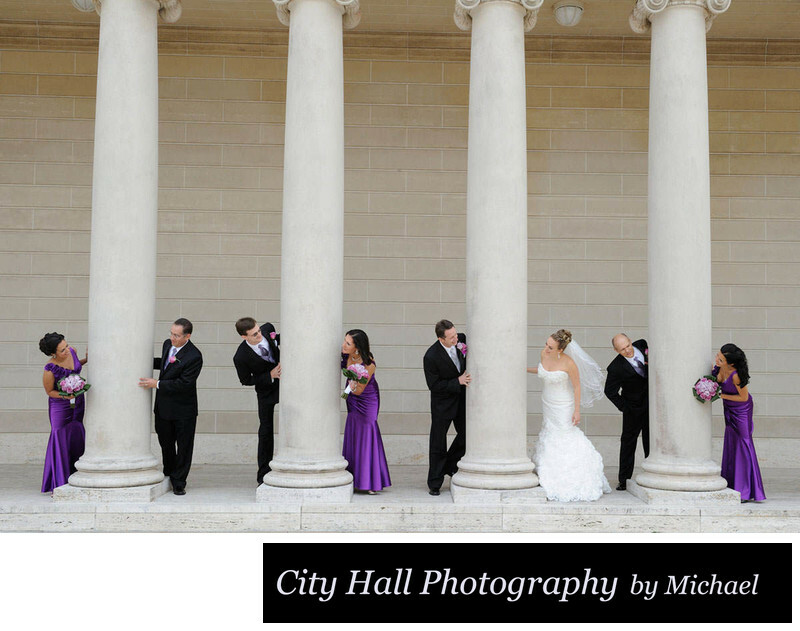 This was actually not a City Hall wedding, but it shows how popular many of San Francisco's famous locations are for photography. Elina and Stas decided to do all of the pre-wedding photos at the Legion of Honor so they even brought their wedding party. We started with the simple photo above and then moved on to more fun shots! The bright colors of the female attendants contrast nicely to the more neutral background at the Legion of Honor. Such a great spot to do take couples for their photo session, but it really does help to add color. 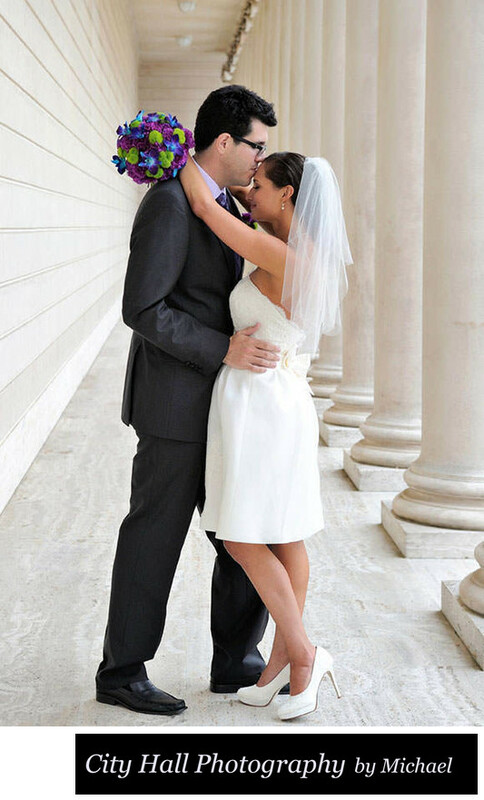 Either a bridal bouquet or nicely colored dresses as you see in the image below. 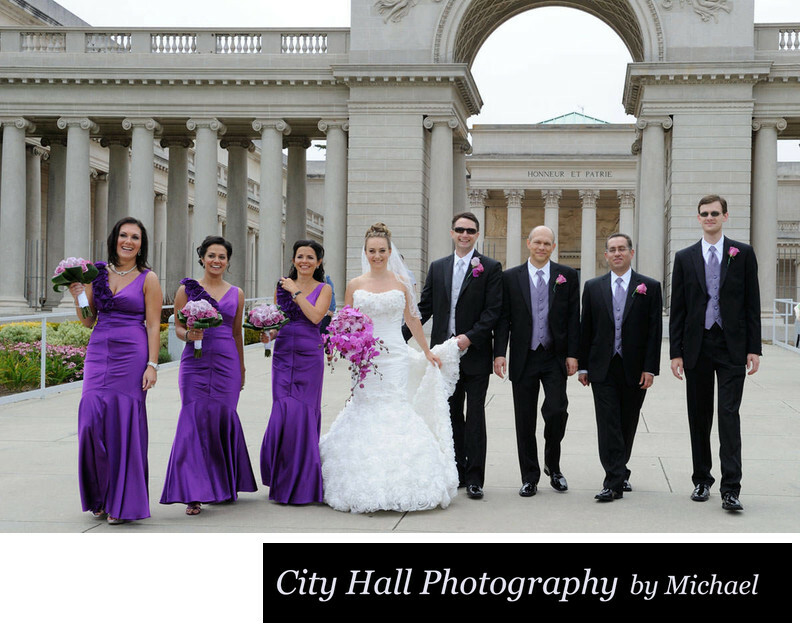 The wedding party leaving the Legion of Honor after a fun filled 40 minute photo shoot (below). As any good wedding photographer will tell you, some of the best shots in a wedding are those that are not posed. We keep our cameras trained on the subjects to catch those perfect moments whenever possible. For Yuan and Li's wedding, (below) we started at the Legion of Honor and then moved on to San Francisco City Hall to photograph the ceremony. They were a fun couple and really enjoyed working with us. The whole family came to this location for group photos as well. 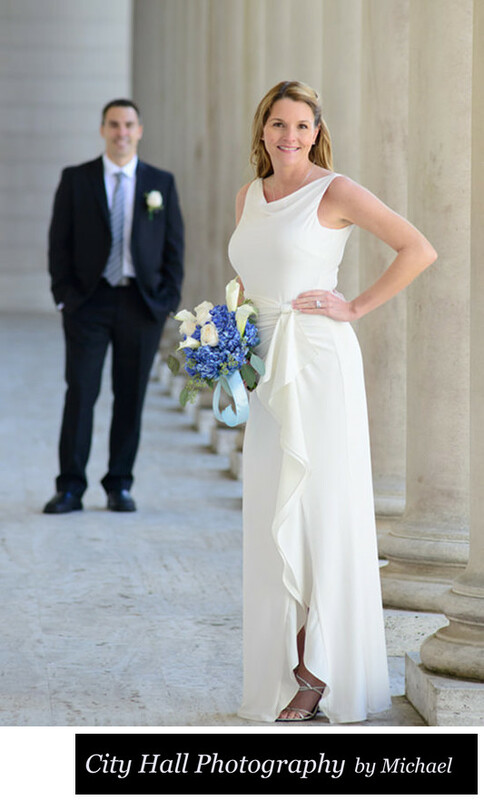 We normally start our shoots at City Hall, but for this particular wedding, the timing worked out better starting the shoot here at the Legion of Honor. We made sure to leave sufficient time to get to city hall and check-in.